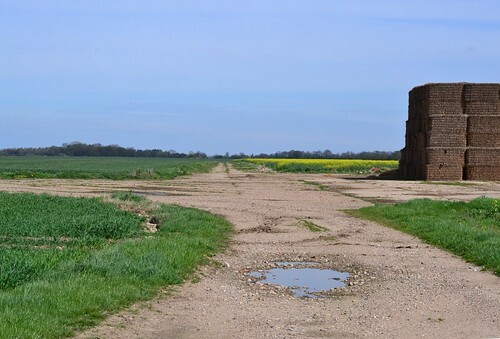 The first of Suffolk’s trails take you from the northern eastern corner of Suffolk between Lowestoft and Stowmarket through the centre in a south-westerly direction. Another USAAF rich area it boasts some interesting history and some of the most beautiful countryside this county has to offer. If travelling from Norfolk, we go south toward Stowmarket stopping first at Flixton, near Bungay. Norfolk and Suffolk Aviation Museum. 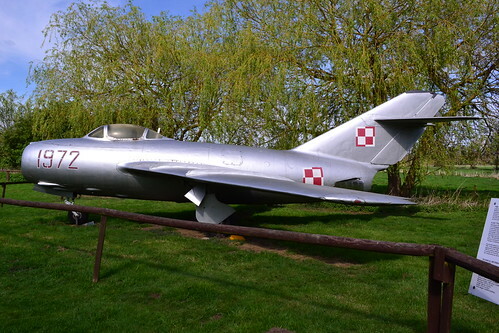 The Norfolk and Suffolk Aviation Museum was opened in May 1976, following the setting up of the organisation by local enthusiasts. The Museum was opened by the soon to be president, the late Wing Commander Ken Wallis. International Elements are Well Represented With a Mig 15. 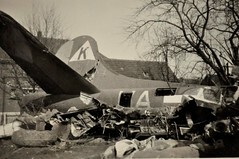 The museum is found not far from the USAAF site at Bungay and houses a great deal of memorabilia and artefacts from there. Because of the bases links to the USAAF, Royal Air Force and Fleet Air Arm, it hosts a number of aircraft of different origins. Over the years the site has grown, collecting mainly through donations, artefacts from various bases located in Eastern England, an area they have primarily focused on. The museum is located behind the ‘Buck Inn’ and as it grows space is becoming limited. There is free parking and entry, donations being more than welcome to help with the upkeep and acquisition of new materials. 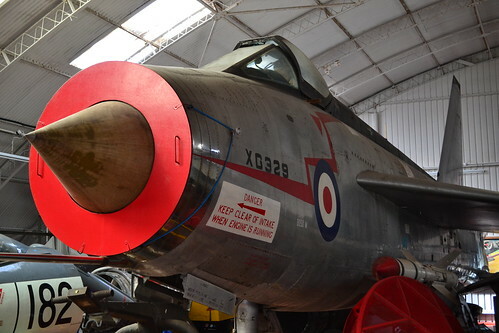 EE Lightning Used for Gun and Missile Testing. On entering the site, you are greeted by a number of Aircraft including a Gloster Javelin FAW.9R, North American F-100D Super Sabre, Dassault MD-452 Mystere IVA, De Havilland Sea Vixen FAW.1 and a number of other international exhibits. Including those outside and inside, they boast some 66 aircraft including cockpits and parts of aircraft, a truly remarkable feat. The Cold War and ‘V’ force is also represented with cockpit sections of each the Vulcan B.2(K) XL445, Victor K.2 XL160 and Valiant B(K)1 XD857, Bloodhound missiles and Eastern Bloc examples. Buildings are split into sections each representing a different era or area of aviation. The famous late Ken Wallis is also represented, although following his recent death, some exhibits have been removed and are sadly not going to be returned. 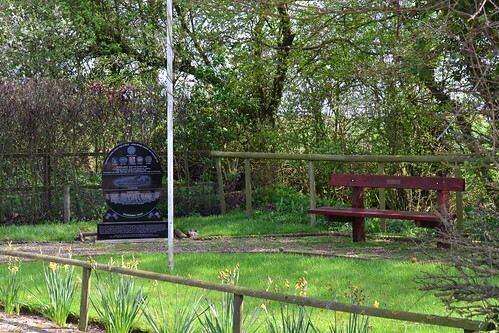 The site really speaks for itself, so we won’t dwell here, but if you are in the area, perhaps looking for the nearby base, this is a welcome addition and a remarkable place to visit. From the museum, we then travel the short distance to former US base represented by the museum. It is an airfield that was built-in the mid part of the war and one that took some time to establish itself as a front line bomber station. However, it would have its own share of problems, heroic acts, records and sacrifice. 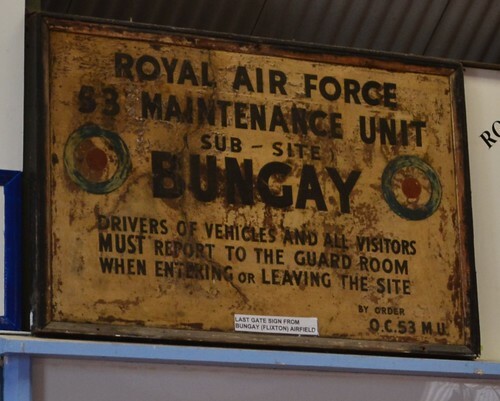 We next visit the former airfield RAF Bungay. 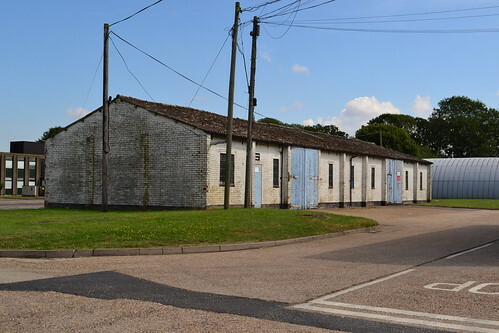 After leaving the peace of Bungay, we head South West, to another former USAAF base and one that has a very much altogether different feel to it. 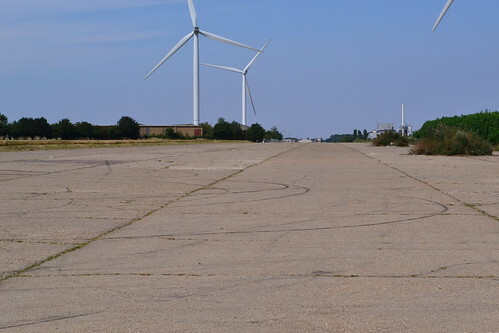 Another former bomber base, this one has become an industrial estate, with the buildings being taken over for industrial purposes, lorry parks and mechanisation. We next visit the former airfield RAF Eye. Sitting alongside the main A140 south of Diss , Eye still has many features from its conception even though a huge industrial / retail complex has taken over its runways and hardstandings. The Enormous Main Runway at Eye. Officially opened on 1st May 1944, Eye was one of the last USAAF airbases to be opened and consisted on the usual triangular layout of three runways. It was to have a short life of only one year but in that year managed to record one of the greatest success records of all the Eighth bomber groups. 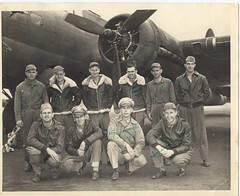 The first and only group to arrive was the 490th Bombardment Group (Heavy) who were assigned to the 93rd Combat Wing. They operated 4 Bombardment Squadrons: 848th, 849th, 850th and the 851st. The first mission took place one month later using B-24 Liberators, in which they carried out 40 missions before being replaced with the B-17 Flying Fortresses in the following August. 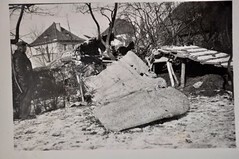 Their missions took them into the deepest parts of Germany, including Berlin, Hamburg, Merseburg, Münster, Kassel, Hannover, and Cologne as well as supporting the Normandy landings and attacking supply lines in the Battle of the Bulge. 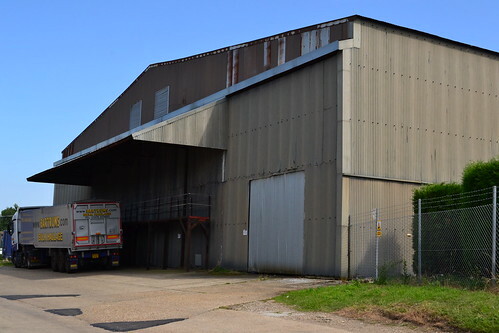 A T2 Hangar used for storage. 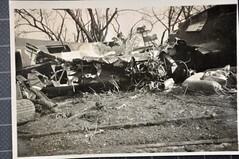 The 490th can claim to have been involved in one of the wars final aerial battles in April 1945 in which they took on the new and deadly Me 262 jets. 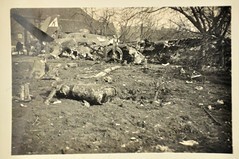 The Germans, in a last-ditch attempt to defend the homeland, manged to down four bombers before breaking off the attack. By the time the war had finished, the 490th had completed 158 missions losing only 22 (40 in total ‘other causes’ being the reason) aircraft in combat; one of the lowest records in the whole of the Eighth Airforce. 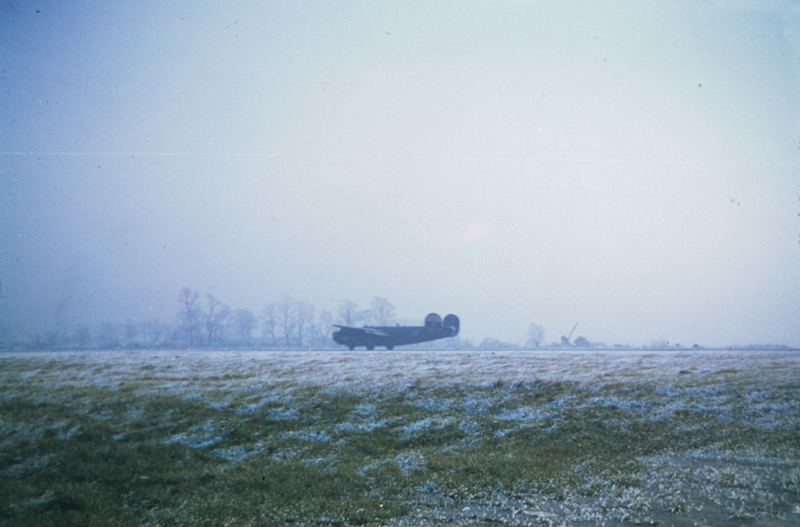 Immediately after cessation of the conflict, the 490th continued to fly, supplying food and supplies to the people in the Netherlands and other humanitarian operations involving allied POWs across Europe. 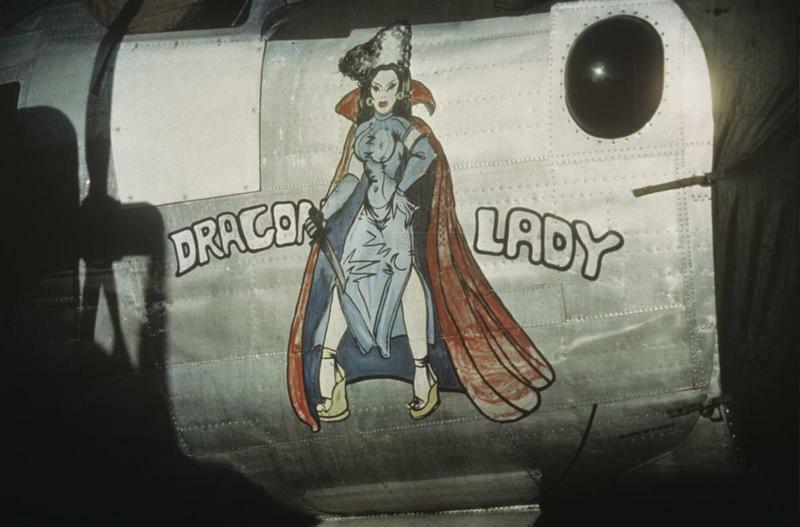 One other ‘claim to fame’ of the 490th, was that they had some of the most provocative nose art on any USAAF aircraft, seemingly uncensored unlike their brothers in arms. Aircraft wore full length nudes and made references to prostitutes of the day, all unheard of in other places. A Former Gas Clothing Store now houses light Industry. 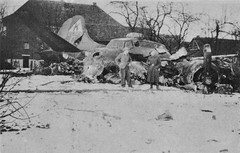 The airfield finally closed when the 490th departed the following August (1945) and Eye returned largely to agriculture and more recently industry. 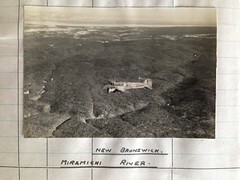 Evidence of the Eighth’s presence can still be seen today. Amongst the industrial units can be found a selection of buildings and more astonishingly one of the main runways intact in its entirety. 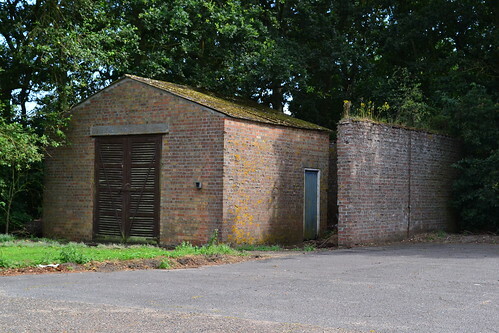 Now used at one end by industry, lorry parks and larger storage units, the other is open and shows signs of the locals’ car driving activities. The full width of the runway gives you a real sense of the activity that went on here. The perimeter tracks remain but in a much worse state; overgrown and barely big enough to fit a tractor let alone a lumbering B24 or B-17. An electrical Sub-Station Still fulfils its Duty today. From Eye, we continue south along the A140 for only a few miles and arrive at our next stop, and a new trail, RAF Mendlesham (Trail 15). Sources and further reading (Norfolk and Suffolk Aviation Museum). 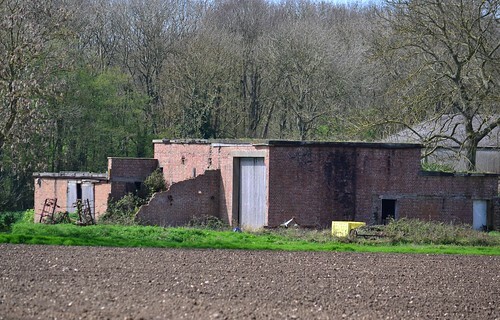 Sources and further reading (RAF Bungay). Sources and further reading (RAF Eye). 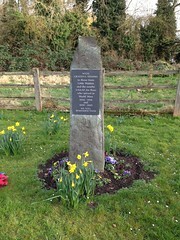 * A memorial has since been built on the site at Eye, I hope to return soon and see how things have changed since my original visit. Hi Jackie, thank you and glad you enjoyed it. I was aware that a memoirist was either, in the process of being placed there or was already. Thanks for the update, hopefully I can get there myself soon to see it!